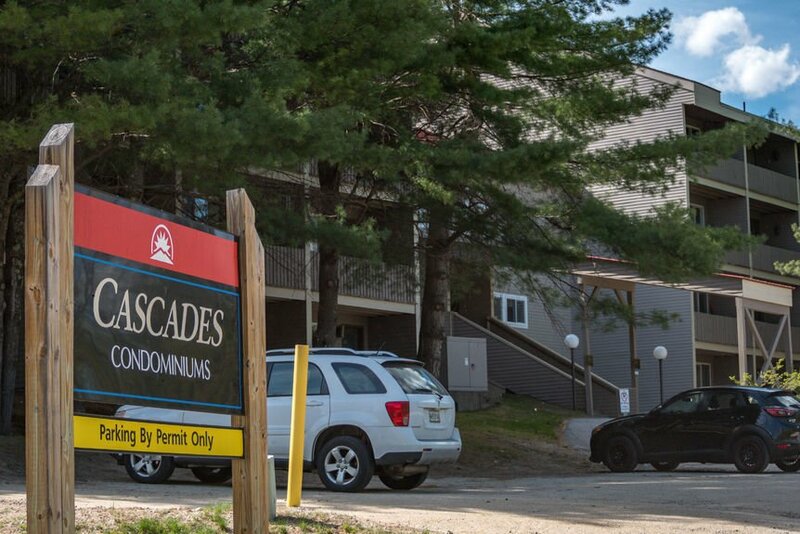 Owning slopeside Cascades condos in Newry, you’ve got ski-in and ski-out real estate in the heart of Sunday River. You’ll be just above South Ridge and below Barker Lodge, with direct access to Broadway Trail and directly down to the chondola and Sunday River Express lifts. (In the winter, the chondola services night skiing and, in the summer, scenic chairlift rides, hiking, and mountain biking.) Choose from 24 studios at 377 sqft, and 48 one-bedroom units up to 567 sq ft. As a Cascades owner, you’ll also have a large, secure storage locker and coin-op laundry on the lowest level, and services from a security desk in the lobby. At the end of a great day on the slopes, enjoy the indoor heated pool, the sauna, or hot tub, or just relax in front of the roaring fireplace in the large rec room. This hotel-style find was put together in the 1980s. When you’re not using it yourself, you have the freedom to rent this Newry real estate seasonally or short-term. View our selection of available properties in the Cascades Condos - Sunday River area.